Chapter 1. A review of multiscale analysis: examples from systems biology, materials engineering, and other fluid-surface interacting systems (D. Vlachos). Chapter 2. Quantifying physics and chemistry at multiple length-scales using magnetic resonance techniques (L.F. Gladden et al.). Chapter 3. Modelling of transport and transformation processes in porous and multiphase bodies (M. Marek et al.). Chapter 4. Spatially averaged multiscale models for chemical reactors (V. Balakotaiah, S. Chakraborty). 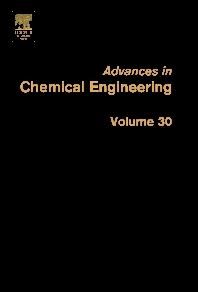 The theme of the present volume "Multiscale Analysis" has been introduced about a decade ago and is now reaching a stage where a first balance can be made and further research directions should be decided. Contributions have been carefully selected to ensure the reader will not be confronted with quantum mechanics at one side of the spectrum nor with chemical plants or even the environment on the other side. Maintaining a strong connection with reality i.e. experimental data was another selection criterion. Experimental validation remains the corner stone of any theoretical development and very powerful experimentel techniques are emerging. Areas covered include discussing in depth an important example of experimental techniques. Coming from the medical world, Magnetic Resonance techniques can now provide even quantitative answers to problems our community is faced with. The modeling issue is discussed further. Finally, the limitations of the classic reactor engineering models are outlined. Chemical engineers, materials scientists, bioengineers, biologists and biomedical scientists.